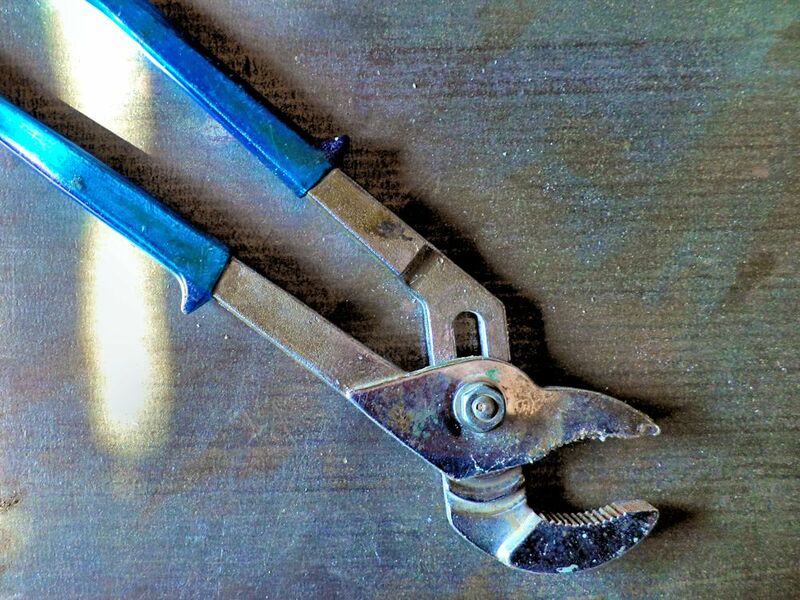 I have all reasons to believe this tool is perfectly innocent, but I can’t help seeing it as a scary teeth-puller. If you just look at the bottom part I see some Pterodactyl like creature with the bolt as an eye and then of course the vicious beak. Or just some attack bird. A dangerous dinosaur indeed! It’s strangely comforting to see that I’m not the only one who sees scary things in ordinary objects. You know here in the UK they say someone is a ‘right tool’ if they are an idiot! Until I saw your caption,this tool looked all very normal to me!